Scrap and re-work can cost manufacturers 5-10% of revenue. Use AI-powered visual inspection to better identify defects, reduce costs, and improve throughput. IBM Visual Insights employs machine learning techniques for image recognition and processing. These include impurity/high-contrast area detection, geometry feature detection and verification, abnormal texture area detection, color and brightness feature extraction and verification, and difference detection by supporting translation and rotation variants. Additionally, developers can extend these capabilities to create domain-specific applications to meet unique inspection needs. Cloud based machine learning and management functions create defect models which are then distributed to edge computing devices on the factory floor to rapidly process images captured by inspection cameras and detect and identify any defects. IBM Visual Insights employs a combination of machine learning based upon curated image examples of defects and human knowledge to create a library of defects - hundreds to tens of thousands - that can be easily deployed to automate quality inspections across key manufacturing processes. Via machine learning and human expertise the library can easily be extended to build inspection solutions for new or variations of existing products. 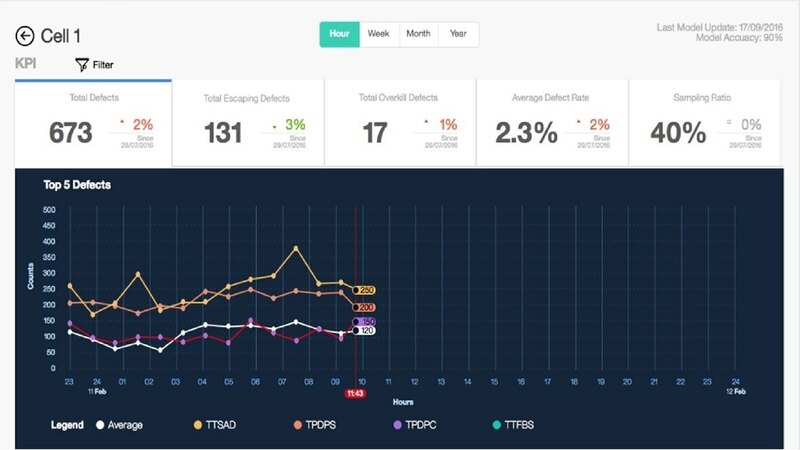 When detecting and identifying a defect IBM Visual Insights provides a confidence level which can used to automate defect identification - whenever thresholds are above an established confidence level, or have the defect reviewed and verified by an inspector whenever the confidence level is below the threshold. Defects with a confidence level below threshold may also indicate a previously undetected defect type and the need to create a new defect type or model. As a manufacturer builds the library of defect detection models and images the machine learning capabilities of IBM Visual Insights can crawl through the library with the goal of continually improving detection and recognition accuracy using the growing set of defect data. IBM Visual Insights does not depend on any proprietary camera capture hardware or technologies, thereby making it easy to work with existing systems, and allowing organizations that may have multiple capture technologies to deploy AI visual inspection capabilities throughout their manufacturing facilities .